2001 Sea Ray 380 Sundancer The 2001 Sea Ray 380 Sundancer features a deep-V hull and the smooth power of twin 454 Magnum MPI Horizon MerCruiser V-drive engines. Her spacious cabin with sleeping accommodations for many, makes the 380 Sundancer perfect for extended pleasure cruises with family and friends. 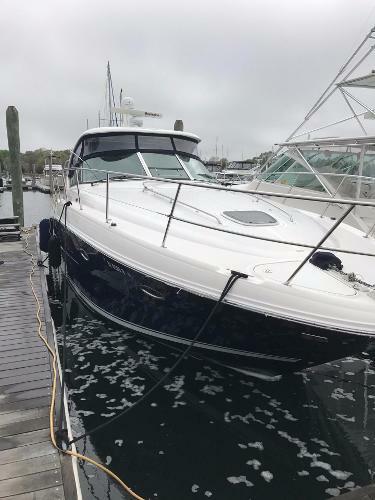 Per the Seller: Boat is in very good condition -New Camper canvas in 2016 -added a new VHF radio in 2016 and antenna -new cockpit faucet 2016 -Under 200 hours -new water pump 2016 -Generator runs great -Bow thruster makers docking a breeze -New water heater 2016 Stock #131530 Low Hours, Very Well Maintained, Very Clean, Bow thruster! 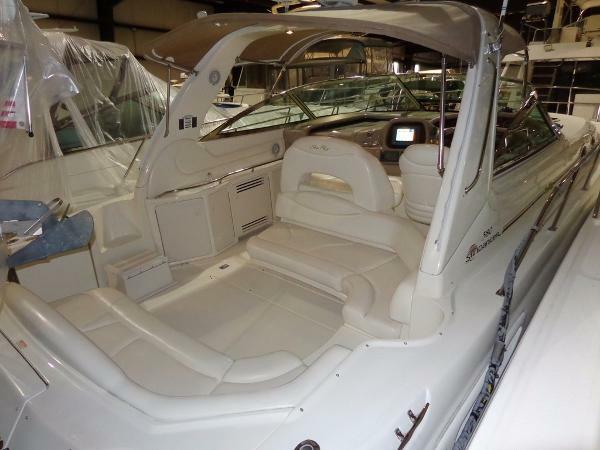 If you are in the market for an express cruiser, look no further than this 2003 Sea Ray 380 Sundancer, just reduced to $124,900 (offers encouraged). This vessel is located in Sodus Point, New York and is in great condition. She is also equipped with twin Mercruiser engines that have only 180 hours. Reason for selling is moving south. Stock #003801 Plush and Upscale Appointments & detailing Throughout!!! 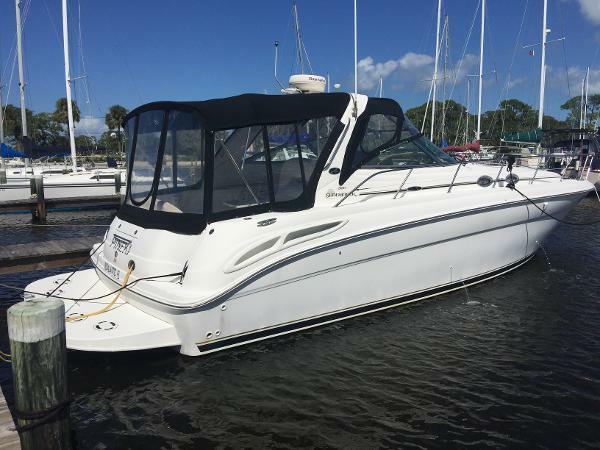 Full eisenglass enclosure & leather interior with low hours If you are in the market for an express cruiser, look no further than this 2004 Sea Ray 380 Sundancer, priced right at $150,000 (offers encouraged). 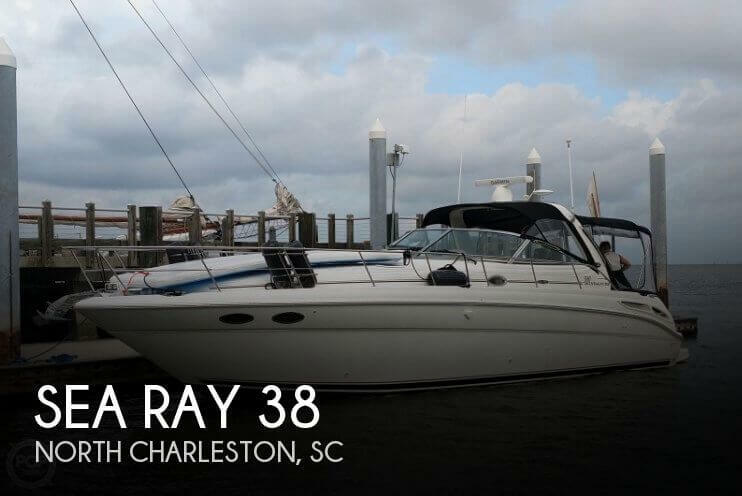 This vessel is located in Charleston, South Carolina and is in great condition. She is also equipped with twin Caterpillar engines that have 390 hours. Reason for selling is moving to a larger boat. 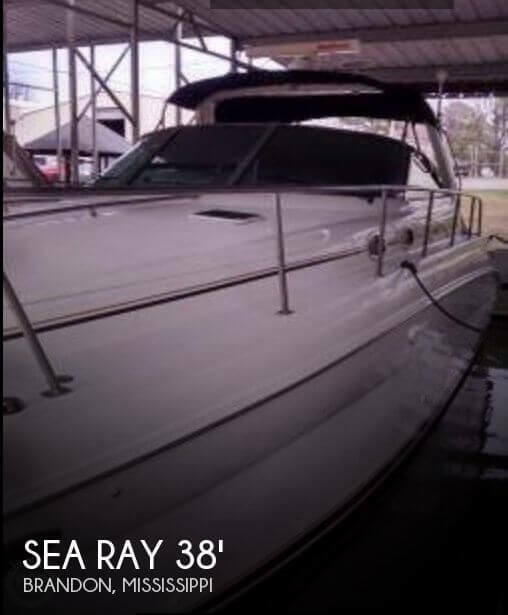 Per seller : Boat is in excellent running condition and has had many recent upgrades including - New Large Screen Raymarine GPS/ Radar - New Enclosure - New AM/FM Bluetooth Stereo - New Full-size Refrigerator -New LED Lighting in Cockpit Stock #160935 Very nice and well maintained 2004 Sea Ray Sundancer! Twin 8.1 Mercruisers with only 450 hours! 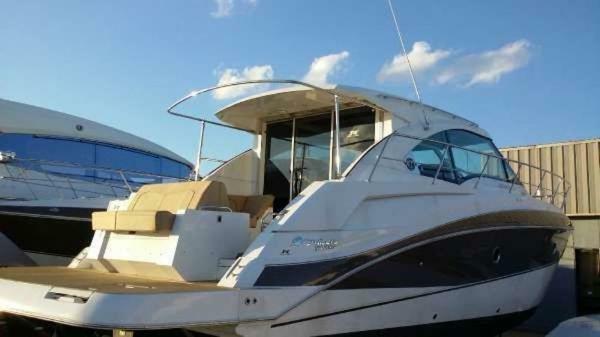 If you are in the market for an express cruiser, look no further than this 2004 Sea Ray 380 Sundancer, priced right at $150,000 (offers encouraged). This vessel is located in Freeport, New York and is in great condition. She is also equipped with twin Mercruiser engines that have 450 hours. This is your ticket into the world of style and class out on the water. Seller is motivated so now is your time to get onboard and call her yours. Do not wait until you sell this boat on the water and someone else is her Captain. Stock #127230 The owner of this boat has reduced price must sell. 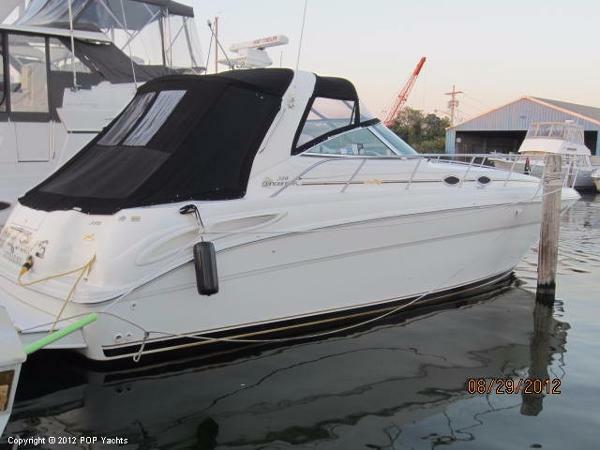 If you are in the market for an express cruiser, look no further than this 2001 Sea Ray 380 Sundancer, just reduced to $117,000 (offers encouraged). This vessel is located in Brandon, Mississippi and is in good condition. She is also equipped with twin Mercruiser engines that have 577 hours. Reason for selling is ready for new adventures!!!. 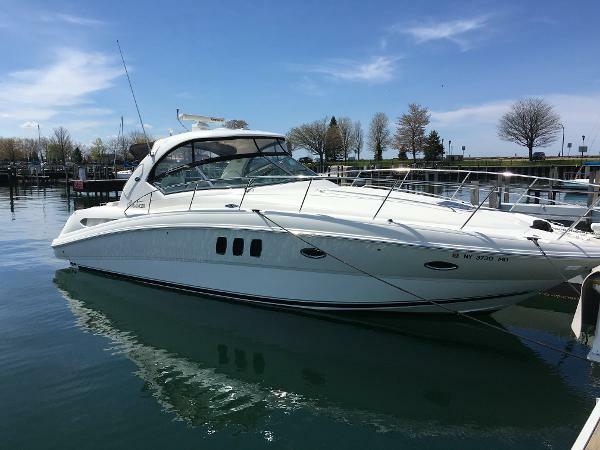 2003 Sea Ray 380 Sundancer Twin Mercruiser Freshwater Cooled Horizon 8.1 S 370 HP Engines W/V-Drives & Kohler 7.3Kw Generator SEA CASA is a meticulously maintained vessel and is truly turn-key. She is in pristine condition, all maintenance is up to date, and has had many upgrades over the past two years. If you are in the market for Sundancer or express cruiser than don't miss this one! Electronics package includes Raymarine Hybrid Touch plotter/sounder/radar (New 2016), Raymarine HD 4Kw 72 mile open-array radar (New 2016), Raymarine RN 300 GPS, Ritchie compass, Raymarine ST7001+ autopilot w/remote, Raymarine VHF radio (New 2016), Clarion CD/Stereo (New 2016), JL Audio Marine speakers (New 2016), and Sharp 36" flatscreen TV (New 2016) Call today to schedule a appointment, viewings available seven days a week! 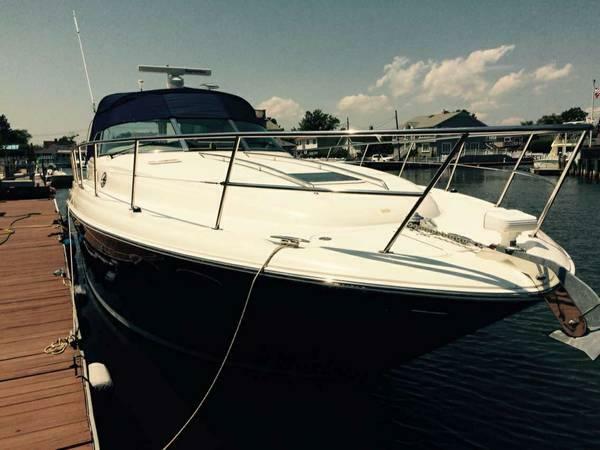 1999 Sea Ray 380 Sundancer !! ORIGINAL OWNER ... IMMACULATE CONDITION !! !! NEW UPHOLSTERY ... NEW ENGINES !! This immaculate and well maintained 380 Sundancer looks like it's spent it's entire life on a freshwater lake in the Midwest. All cockpit upholstery was just replaced last year, no pitting evident on hardware, super clean engine room, gleaming gelcoat, and everything works!! The engines were replaced under warranty by Sea Ray and have just 150 hours currently. Meticulously looked after it's entire life by the original owner, there's no old boat odors and shows in like new condition! 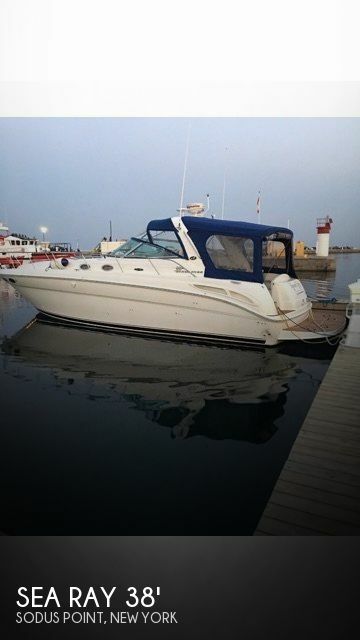 Features & Upgrades Include: Upgraded Mercruiser 7.4L 380hp MPI Horizons, replaced by Sea Ray, only 150 Hours! Replaced Risers & Manifolds NEW Cockpit Upholstery (Winter 2015) NEW Clarion Stereo w/ Remote Radar, GPS, Autopilot, & GPS Cockpit Icemaker Windlass Black Canvas & Full Enclosure This 380 Sundancer is in beautiful condition and not to be missed. Come see for yourself, very meticulous owner! Call TODAY for more information or to arrange a showing! 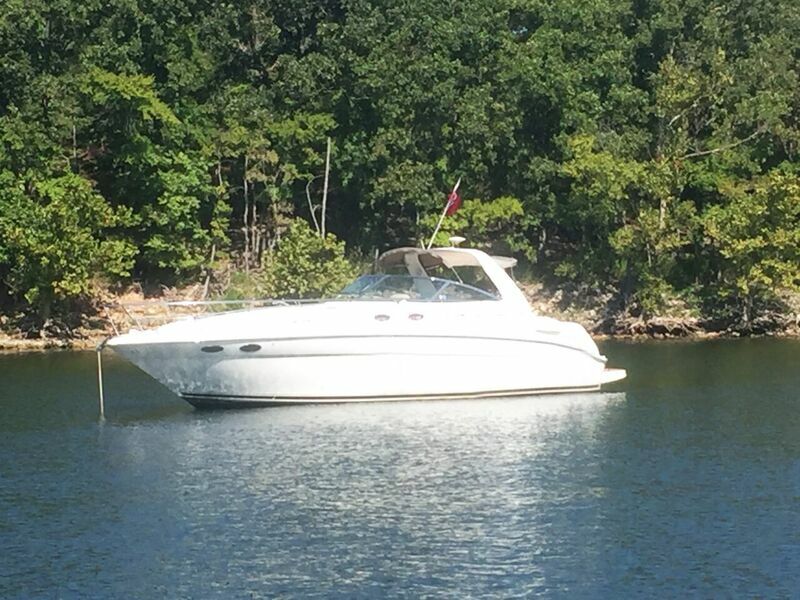 1999 Sea Ray 380 Sundancer Hard to come by, Diesel Powered 380 SunDancer! Major Reduction for Spring! 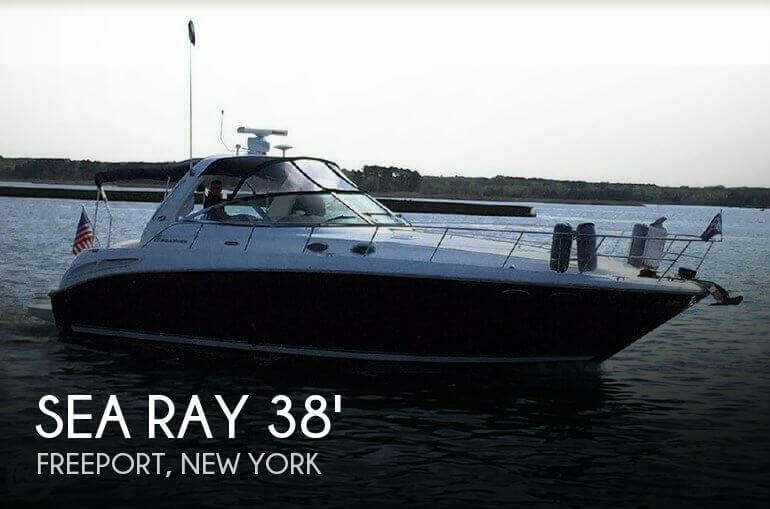 Owner wants this to be the next 380 Sundancer sold before spring launch, offers encouraged! 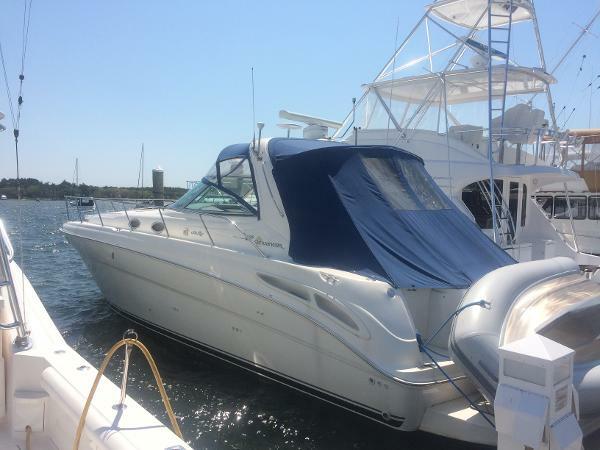 1999 Sea Ray 380 SunDancer with twin Cat 3116 Inboard Diesels with only 650 hours! Diesel generator with 1095 hours use. Very clean well outfitted boat that has seen numerous updates over the years. All updated Raymarine electronics, Dual E-series displays, 1-E80 and 1- E120, Radar, GPS, SAT Weather, Auto Pilot, Digital Depth, VHF. Updated canvas system. Water maker. Boat shows like new! 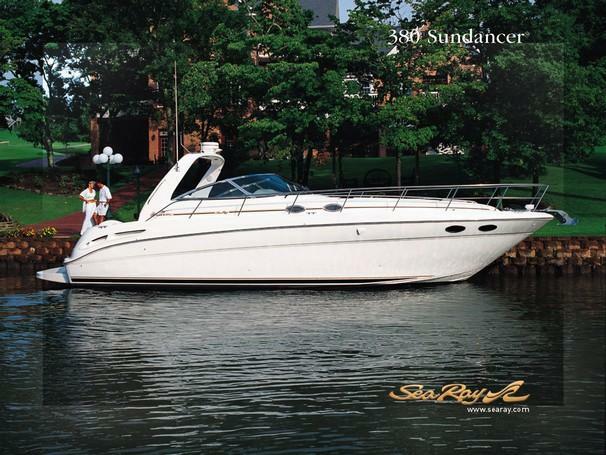 This is by far the best equipped, cared for diesel powered 380 Sundancer available anywhere! Owner wants boat sold before spring!